If you’re looking for wedding jewellery on a budget, Tarinika’s the store for you. From bridal sets to anklets and waistbands, they’ve got it all. Need to get through another shaadi season? Fear not, we’ve got your back. This new Commercial Street store just below Miniso has a wide collection of brass, copper and silver jewellery at super-affordable prices. What caught our eye was the jhumkas. The best part? The prices start at a reasonable INR 150, so you can get all decked up without burning a hole in your pocket! Find a range of wedding essentials from pendant sets and anklets to bangles, armlets and chokers. Check out their necklace sets starting from INR 1,700 upwards. They are antique-style and feature a lot of stonework with emeralds, blue sapphires, amethyst and other varieties of semi-precious stones. Perfect for a wedding reception or sangeet ceremony, or days when you feel like upping the desi-glam factor in your life! While the store has only recently been launched, they are already open for business. 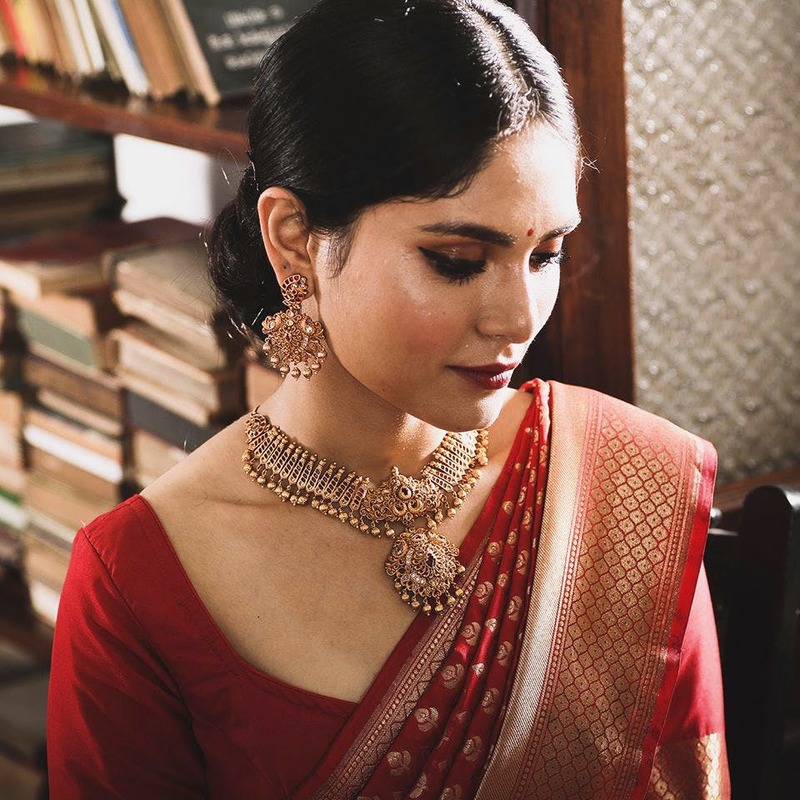 Be it the elaborate bridal sets with maang tikas, kadas and heavy neck pieces to simple earrings and bracelets, there's plenty to choose from here! With accessories starting at INR 150, this is a must-visit store for wedding jewellery shopping, ore even regular updates to your accessory drawer at those rates! Other than the store’s promotions and discounts (in store at Commercial Street) , Tarinika’s website holds clearance sales four times a year.